Bad news: it’s not going down. For now, at least, the founding Clipse member tells FADER exclusively. Bad news: for now, the reunion rumors are not true. 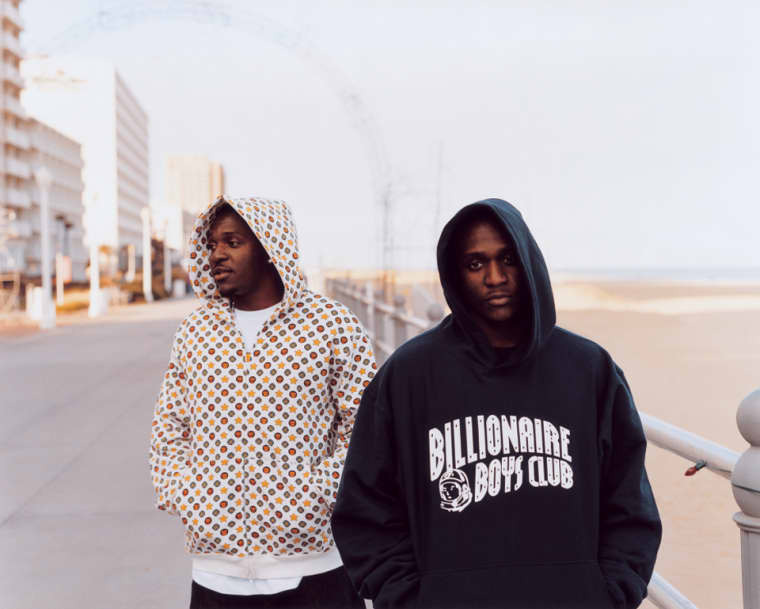 "There is no Clipse album in the works," founding Clipse member No Malice told FADER exclusively today, over the phone from home in Virginia Beach, VA. "It's not going down. I don't know where the rumor stems from. And I don't know how this keeps coming back up—this isn't the first time. But I would never play with the fans like that and act like something's about to happen and it's not." No Malice added the "No" to his name in 2012, after releasing a book exploring his renewed commitment to Christianity the previous year. While he says a Clipse album won't happen now, he doesn't rule out the possibility of one in the future. "I'm very certain that it could happen. A Clipse album could be done. There would be nothing like it." For now, though, No Malice feels he and brother Pusha T are best off working on their own. "At this point in time, my brother and I attack music from two different perspectives. We can pull off anything together and crush it, but right now I'm just somewhere else and he's doing his thing." Meanwhile, No Malice points out that Pusha would be happy to get into the studio together: "I have heard Pusha express that he really wants to do a Clipse album. He's ready one hundred percent!" But No Malice isn't ready, and realizes his reticence to record with Pusha comes as a disappointment to some. "I think the fans want to rekindle that whole entire lifestyle which I no longer live," he says. "But I will not be rapping like that. I was that, every bit of that lifestyle, and this is where I'm at now. I don't condemn or have anything negative to say about anyone, this is just the move I chose to make." And if his choice to release music alone, on his own terms, has made his audience smaller, he's okay with that. "The turn of events in my life, this is my choice. Unless there's a universal revival, the market will always be broader for Pusha's perspective. But for me, that's not what it's about. When I rhyme, it's because I feel like it." Revisit Clipse's seminal album, Hell Hath No Fury, with Chris Ryan's 2006 FADER feature.